The Stan State McNair Scholars Program helps undergraduate students successfully finish their bachelor’s degree and prepare for and get accepted into graduate school. The primary objective of this program is to place more first-generation/low income and historically underrepresented students in Masters and Ph.D. programs. To make sure every part of the graduate school application is as strong as it can be, the Stan State McNair program provides workshops and individual advising to help students choose the right graduate school programs, write effective statements of purpose, request strong letters of recommendation, improve GRE scores, and locate and secure sources of funding. Being engaged in research at the undergraduate level is one of the best ways to be both a highly competitive applicant and develop the kinds of abilities needed to succeed in graduate school. 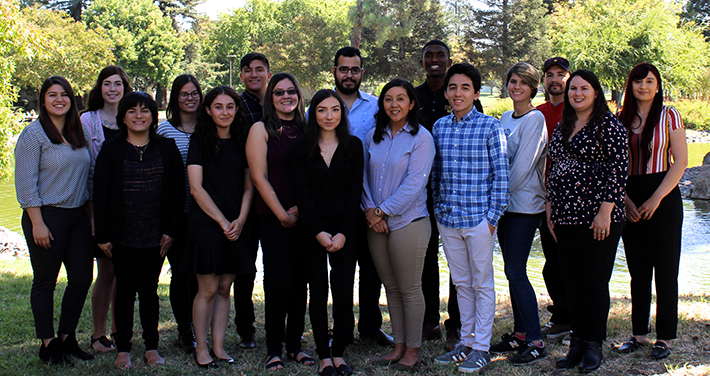 For this reason, Stan State faculty work individually with McNair Scholars, guiding them through the process of designing and developing a research project to be presented at our annual symposium and published in our academic journal. Faculty mentors may also include McNair Scholars in other academic activities such as professional conferences. Participants who meet all program requirements will receive a stipend of up to $2,800 to complete the research project. McNair Scholars may receive funding to travel to professional conferences and present their research. They may also visit campuses where they are applying to graduate school in order to increase their chances of getting accepted or to make informed decisions about the best graduate school program to enter. Our application cycle is currently closed, we are not accepting applications at this time. The Ronald E. McNair Postbaccalaureate Achievement Program is federally funded through the U.S. Department of Education.